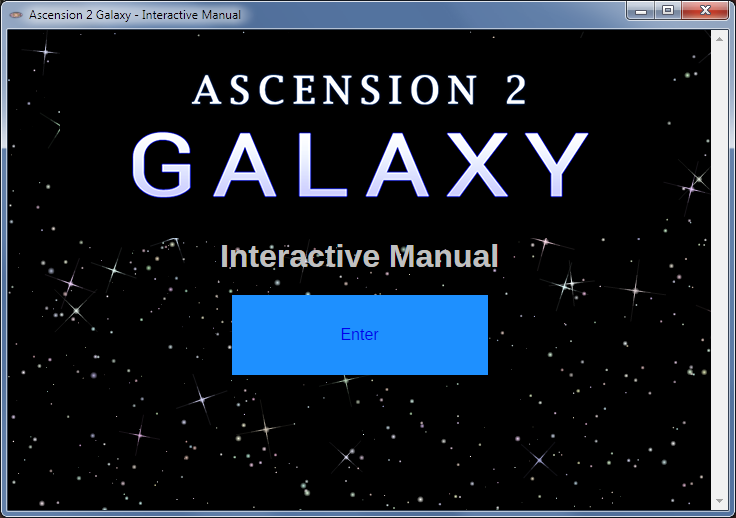 Ascension 2 is about 90% complete at this point and I’ve managed to scrape up some testers. We’re still working on the game itself, but one thing that I realized quickly was that people need context. Right now, the game throws you into an unfamiliar world, which is rather disorienting. I should know better- some background is needed, with the game if not in the game. So instead of a very basic manual that would say little more than how to install the game, I’m going to expand it into a more comprehensive document that also gives some insight into the world of the game. I’ve decided to go beyond a plain text document and build an “interactive manual” using mostly web technologies. The initial release will probably be fairly plain, but there’s potential for it to be expanded in the future. Right now, it’s about halfway done, and includes a mix of practical instructions and background lore. Will Ascension 2 be ready in time for a December launch? Honestly, at this point, probably not. There are some critical assets I need and I’m still having trouble getting them. There are also bugs to squish and last-minute fixes and additions to make. What might happen is a public beta in December, followed by a launch some time early next year.